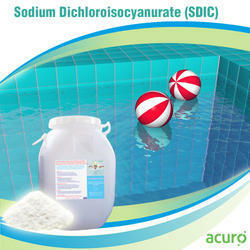 Sodium Dichloroisocyanurate (SDIC) it is widely used for sterilization of swimming pool and drinking water, industrial circular water, industrial circular water, aquaculture, tel, hospital and other public places. Also used as bleaching agent and antiseptic for wool, cotton, textile, chemical fabrics etc product type:powder granular:8-30mesh 13-40mesh 20-40mesh tablet:15g20g package:fabric bag with plastic inner; pasteboard/polyester barrel; as any other package as your order. 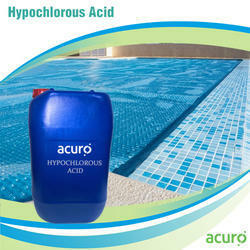 1> It is a cationic polymeric algaecide, which can restrain kinds of algae in swimming pools. 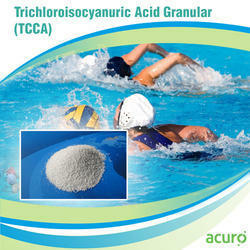 The TCCA (Trichloro Isocyanuric Acid) comes to be the porous trichloro isocyanuric acid that comes to be left behind after the pyrolysis of various polymeric precursors. We offers excellent porous qualities that stay static after years of utility. We make use of our product to utilize very tiny molecule size compounds of the C2- C5. We sell at various industry-leading prices. PH (1% soln) 0.5% max. Supplied in kibbled form, these are large flakes of Aluminium Sulphate, also know as Alum. 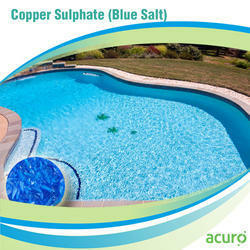 It is the traditional coagulant for water treatment applications including swimming pools with sand filters. In alkaline solution, Aluminium Hydroxide is formed which is insoluble and has a positive charge. The negatively charged particles, which contribute to water cloudiness, are attracted to the positive Aluminium Hydroxide particles, which become larger and heavier and more easily removed from the water. The best practice is to ensure that this takes place in the filter, not in the pool water itself. The following should be taken into consideration. Use only with sand filters. The presence of Sulphates in the pool water may adversely affect tile grout. This is especially likely if placed in skimmers where a high concentration will locally occur. If flocculation takes place in the pool, particles will sink to the bottom and you will have to vacuum them up. Also, there will be an unnecessary amount, albeit small, of Aluminium in the bathing water. Best filtration is achieved at low flow rates. With high flow rates, the presence of coagulants ("flocculants") may have a limited effect. Backwash the filter before dosing. In commercial pools, liquid Aluminium compounds are metered in automatically, but in domestic pools this is usually not practical. Traditionally, solid Aluminium Sulphate dose rates of 20mg/litre are employed (i.e. 900 gms in a 45,000 litre/10,000 gallon pool). However, this is likely to lead to a higher than desirable aluminium content in the pool water and whilst the most common, is probably the least acceptable method of dosing. Preferably, make a stock solution of 5% with warm water and introduce it slowly with a dosing pump as far as possible upstream from the filter, so that at least 10 seconds elapse for the flocculation to take place before filtration. The precipitated Aluminium Hydroxide with gradually coat the upper level of sand with a gelatinous coating which will assist the filtration process. 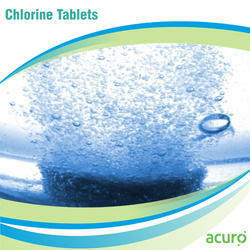 The Powerchlor Na Chlorine tablets come used for delivering a promise of industrial and scientific contribution. Our PNCT outputs come utilized for the filtering of drinking water. 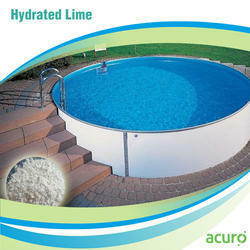 We also offer variants for swimming pool and soft drink plant. We sell at various highly reasonable pricing schemes just as well. Our client feedback schemes have been highly active towards delivering our promise of industrial perfection. Copper sulfate, also known as cupric sulfate or copper sulphate, is thechemical compound with the chemical formula CuSO4. This salt exists as a series of compounds that differ in their degree of hydration. The anhydrous form is a pale green or gray-white powder, whereas the pentahydrate (CuSO4·5H2O), the most commonly encountered salt, is bright blue.Copper sulfate is produced industrially by treating copper metal with hot concentrated sulfuric acid or its oxides with dilute sulfuric acid. For laboratory use, copper sulfate is usually purchased. Copper sulfate pentahydrate is a fungicide.However, some fungi are capable of adapting to elevated levels of copper ions. Another application is Cheshunt compound, a mixture of copper sulfate and ammonium carbonate used in horticulture to prevent damping off in seedlings. Its use as a herbicide is not agricultural, but instead for control of invasive aquatic plants and the roots of plants near pipes containing water. 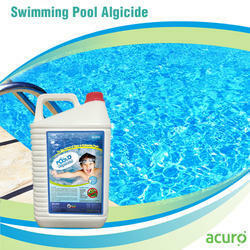 It is used in swimming pools as an algicide. A dilute solution of copper sulfate is used to treat aquarium fish for parasitic infections, and is also used to remove snails from aquariums. opper sulfate can also be used as a mordant in vegetable dyeing. It often highlights the green tints of the specific dyes. Hydrated lime (or calcium hydroxide, or slaked lime) is usually a dry powder resulting from the controlled slaking of quicklime with water. The exothermic or released heat of reaction is captured and used to evaporate the excess slaking water. It is a colorless crystal or white powder and is obtained whencalcium oxide (called lime or quicklime) is mixed, or "slaked" with water. It has many names including hydrated lime, builders' lime, slack lime, cal, or pickling lime. Calcium hydroxide is used in many applications, including food preparation. Limewater is the common name for a saturated solution of calcium hydroxide. One significant application of calcium hydroxide is as a flocculant, in water and sewage treatment. Hypochlorous acid is a weak acid with the chemical formula HOCl. It forms when chlorinedissolves in water. It cannot be isolated in pure form due to rapid equilibration with its precursor. HOCl is an oxidizer, and as its sodium salt sodium hypochlorite, (NaClO), or its calcium salt calcium hypochlorite, (Ca(CIO)2) is used as a bleach, a deodorant, and adisinfectant. In organic synthesis, HOCl converts alkenes to chlorohydrins. 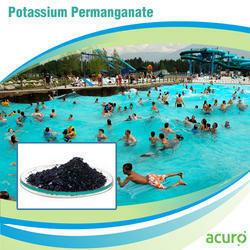 Potassium permanganate (KMnO4) is used primarily to control taste and odors, remove color, control biological growth in treatment plants, and remove iron and manganese. In a secondary role,potassium permanganate may be useful in controlling the formation of THMs and other DBPs by oxidizing precursors and reducing the demand for other disinfectants Although potassium permanganate can inactivate various bacteria and viruses, it is not used as a primary or secondary disinfectant when applied at commonly used treatment levels. Potassium permanganate levels that may be required to obtain primary or secondary disinfection could be cost prohibitive. However, potassium permanganate is used in drinking water treatment to achieve a variety of other purposes including:· Oxidation of iron and manganese;· Oxidation of taste and odor compound;· Control of nuisance organisms; and· Control of DBP formation. 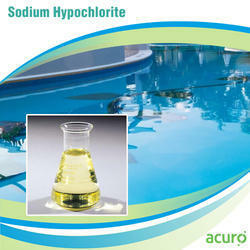 Sodium hypochlorite (NaOCl) is a compound that can be effectively used for water purification. It is used on a large scale for surface purification, bleaching, odor removal and water disinfection.Sodium hypochlorite is a clear, slightly yellowish solution with a characteristic odor. Sodium hypochlorite has a relative density of is 1,1 (5,5% watery solution). As a bleaching agent for domestic use it usually contains 5% sodium hypochlorite (with a pH of around 11, it is irritating). If it is more concentrated, it contains a concentration 10-15% sodium hypochlorite (with a pH of around 13, it burns and is corrosive). 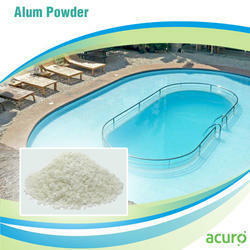 Sodium hypochlorite is applied in swimming pools for water disinfection and oxidation. It has the advantage that microorganisms cannot build up any resistance to it. Sodium hypochlorite is effective against Legionella bacteria and bio film, in which Legionella bacteria can multiply. 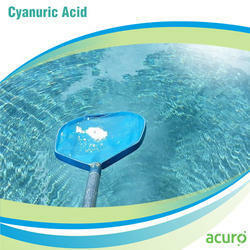 Cyanuric acid is a chlorine stabilizer for pool water. Use cyanuric acid in a swimming pool to keep needed chlorine from escaping due to the ultraviolet affects of the sun.This white, odorless solid finds use as a precursor or a component of bleaches, disinfectants, and herbicides. Sodium hypochlorite is a clear, slightly yellowish solution with a characteristic odor.As a bleaching agent for domestic use it usually contains 5% sodium hypochlorite (with a pH of around 11, it is irritating). If it is more concentrated, it contains a concentration 10-15% sodium hypochlorite (with a pH of around 13, it burns and is corrosive). Sodium hypochlorite is used on a large scale. For example in agriculture, chemical industries, paint- and lime industries, food industries, glass industries, paper industries, pharmaceutical industries, synthetics industries and waste disposal industries. In the textile industry sodium hypochlorite is used to bleach textile. It is sometimes added to industrial waste water. This is done to reduce odors. Hypochlorite neutralizes sulphur hydrogen gas (SH) and ammonia (NH3). It is also used to detoxify cyanide baths in metal industries. Hypochlorite can be used to prevent algae and shellfish growth in cooling towers. In water treatment, hypochlorite is used to disinfect water. In households, hypochlorite is used frequently for the purification and disinfection of the house.